This 70" in diameter unfinished French tablecloth panel can be finished either round or square. It is made from 100% cotton. 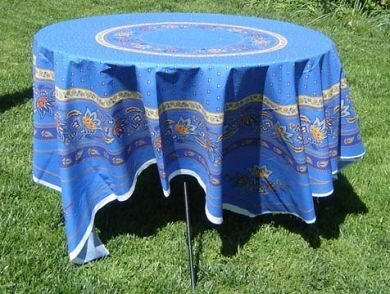 The tablecloth panel is printed with a circular pattern on a blue background, featuring the Lisa pattern.